Innovative Health Clinic allows patients to track their healthcare progress online! 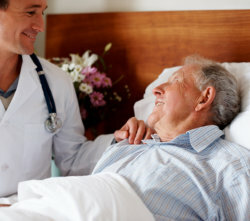 Using the latest and most advanced technology, we help you make the best decisions with regards to your care. All you have to do is log-in to our patient’s corner and discover all you need to know about your health! At Innovative Health Clinic, we equip you with all the skills and knowledge to take matters of your health into your own hands. For more information, don’t hesitate to call us at 623-399-9645. You may also send an email to clinicinformation@innovativehclinic.com.